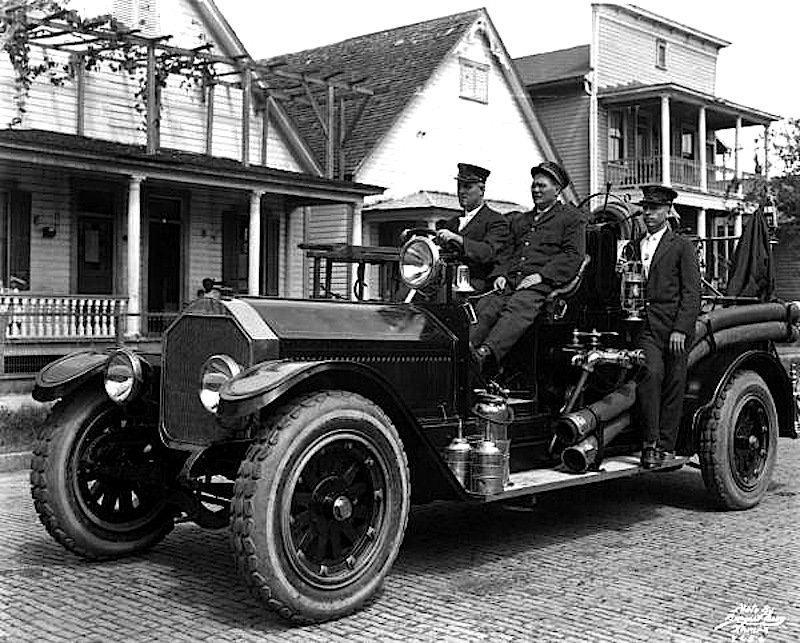 “Firemen aboard truck,” Tampa, Florida, October 1919, via Florida Memory Commons on flickr (State Library and Archives of Florida). It’s not about the firetruck — snazzy as it is — but that trellis mounted over the front porch behind it. Was it simply ornamental, or did the vines help keep the porch and house cooler?